NEW YORK, NY--(Marketwired - December 27, 2017) - B&H offering major discounts on hundreds of products during its two-day deal marathon, including photo and video gear, computers, TVs, lighting, Smartphones, and more. Stay connected with the stylish ZenWatch 2 Smartwatch, which comes with a gold case and a gold metal band. The ZenWatch 2 connects to your compatible smartphone or tablet to give you access to all your favorite apps directly on your wrist; it also provides convenient up-to-the minute notifications, activity tracking options and much more. Looking for one unit to handle all of the basic needs of your home or small office, the PIXMA TS9020 Wireless All-in-One Inkjet Printer from Canon will be able to help you out. Sporting a sleek design and white coloration, as well as advanced print technology, the wireless TS9020 is available for printing, scanning, and copying tasks. For printing, users will benefit from a high 9600 x 2400 dpi resolution for images and documents, while a 6-color ink system provides accurate color with smooth gradations. The spartan limited edition black WINGS Wireless Bluetooth Sport Clip Earbuds with Mic & Controller from Panasonic are IPX5-rated for water and sweat resistance, and feature 12mm neodymium drivers for deep, rich bass, and bright, natural treble. By using Bluetooth 4.1, they are compatible with iPhones, iPods, iPads, and Android devices. The WINGS earbuds easily twist and bend to conform to the individual size and shape of your ears, resulting in a snug, comfortable, and custom fit, even while moving. They include a mic and a controller for adjusting volume and making or taking phone calls. They can switch effortlessly from music to calls and back again with one-touch ease. Miniature in size yet big on performance, the Z CAM E1 is an interchangeable camera system that packs the feature-set of a mirrorless camera into a body more akin to an action camera. The E1 features an active Micro Four Thirds lens mount and a 16MP MFT Panasonic CMOS sensor that supports DCI 4K (4096 x 2160) video at 24 fps, UHD (3840 x 2160) at 30 fps, and 1080p video up to 60 fps. The camera can also shoot 16 megapixel stills in JPEG or uncompressed DNG raw formats, with full resolution burst mode shooting up to 15 fps. The B & H YouTube Channel has an unmatched wealth of educational photographic content. Our entertaining and informative videos feature product overviews from our in-house specialists, as well as from photography industry experts. You can even view the B&H Event Space presentations from many of the world's foremost photographers, and interviews with some of photography's most dynamic characters. Tap into this exciting resource by subscribing to the B&H YouTube Channel here. In addition to these videos, the B&H Explora blog presents new product announcements, gear reviews, helpful guides, and tech news written by product experts and industry professionals. 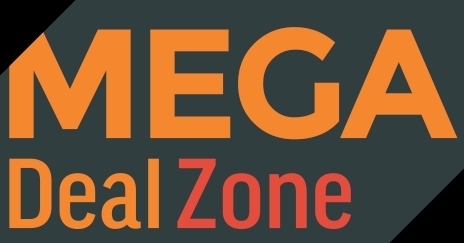 Find great Mega Deals at the B&H Deal Zone 2017 roundup. B&H Offers hundreds of products for great prices.